"They took our best ideas and turned them into reality, helping us grow our business!" "Their thoughts on how to leverage our resources in Social Media helped expand our customer base!" 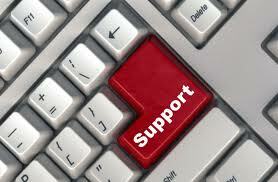 KAYRED provides tier 1 and tier 2 software support for your product! Kayred can provide you the support you need for your software so that you can focus on development. If you have a product that you developed and need tier 1 and 2 support for, give us a call to learn more about how we take the burden of support off you. You can focus on development and delivery while we take care of your level 1 and 2 requests. Kayred can even help with installations, delivery, if needed and on-going support requirements. We can also generate on-line training tutorials for your products! ©2019 by Kayred Systems, Inc.